I can’t keep a secret, everyone that knows me is well aware of this, so when I find a beauty secret I have to share it with everyone – especially one as good as this. I’ve always had problems with my skin, as much as people sometimes scoff at this, I’ve always been a little self- conscious about it, so much so that I used to spend hours picking at my skin which has resulted in ugly scars that I’ve learned to cover up with various make-up techniques. I’ve tried all the potions and lotions that promise to make you look like an airbrushed supermodel walking off the glossy pages of a magazine, but none of them really worked as promised (and they’re all SUPER overpriced). As much as keeping up a healthy diet and drinking plenty of water help with your complexion, sometimes you need a little oomph (especially around a certain time of month). The other day I was in the organic section of a grocery store with a friend of mine looking at detox teas. We were trying to find something that helps rid your body of toxins without the gross side effects. I came across this one tea that promised an “inner glow” at first we laughed about this, thinking that “inner glow” was a polite way to say “you’re going to poop your pants”, but then I read more about it and decided to give it a try. For the past week I’ve been drinking the Pukka Cleanse tea. 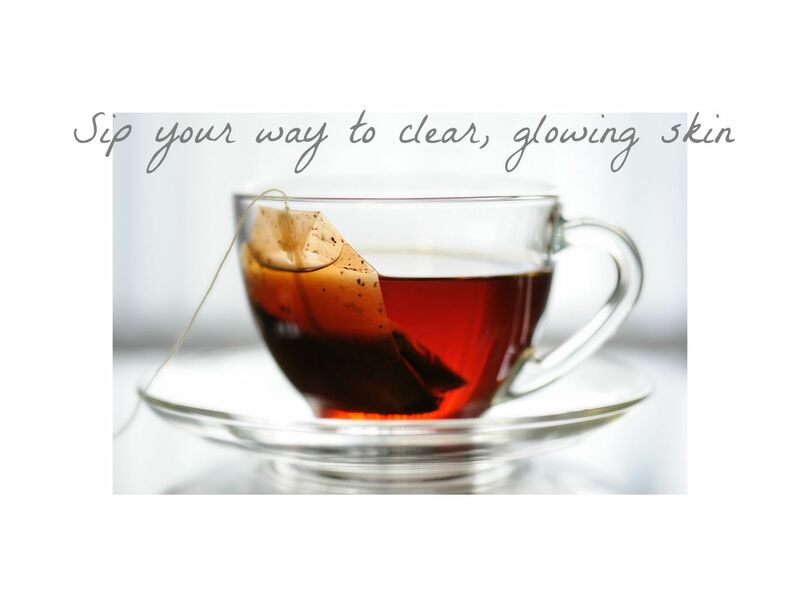 Filled with organic ingredients, this tea allows your body to safely cleanse itself while giving your skin a healthy glow. The following are the ingredients found in this specific tea from the Pukka line, and their benefits. Nettle Leaf – From the Urticaceae family, Nettle leaves contain a number of essential minerals including iron, calcium, potassium and magnesium. Nettle also relieves inflammation which can aid relieving everything from menstrual cramps to arthritis. The one down side is that Nettle leaves may lower blood pressure. Because it is only one of the many ingredients found in this tea, I would think that a low dosage per day wouldn’t be a problem, but then again I’m not a physician so if you suffer from low blood pressure it may be a good idea to consult a physician before drinking anything with Nettle in it. Dandelion Root- Recent studies have found that consuming dandelion root could fight against cancer and even slow its growth. Other benefits of consuming dandelion root are it’s amazing antioxidants and detoxing effects on the liver and the kidney. Who knew that those tiny yellow flowers we would weave into flower crowns as kids would be so beneficial to our health. Fennel Seed- I used to be a cashier at a grocery store and I would always see people coming by with Fennel, this strange half celery, half onion-y looking thing that smelled very strongly of liquorice. Along with being packed with vitamins, the seeds of this plant do everything from improving brain function to aiding in eye health. Through my research on Fennel though, I found out that the plant contains a small dosage of estrogen which could interact with contraceptive pills making them less effective. Use extra caution if consuming this food in large amounts. Even though its only been a week of drinking a cup of Pukka Cleanse tea once a day, I’m noticing improvements in my skin health and even my digestion, it really works that quickly. Honestly, I’ve always been the kind of person to wear cover up all the time. People would tell me that wearing so much face makeup is only making the problem worse, but I wouldn’t listen. Now that I started the Pukka Cleanse, I feel confident enough to leave my house without caking on my coverup and consealer. This tea is not only boosting my health, but also my bank account!